The 650-foot smokestack at the Xcel Energy Sherco power plant dominates the horizon of central Minnesota. It also dominates the economy of the small town of Becker. 360 people work at the facility, the state's largest coal-fired power plant. The sheer size of the plant means Xcel Energy pays a lot in local property taxes, $4.2 million dollars goes to the city of Becker. That means the 4,000 or so residents pay considerably less in property taxes than people in surrounding communities. But a change in the property tax formula for utilities could cut that figure by as much as 30 percent. Becker City Administrator Joe Rudberg thinks that's a worst case scenario for a rule change the state revenue department is considering. "It's pretty obvious to me that it will result in reduced services and other changes for just about everybody that lives here," Rudberg said. Rudberg figures if the revenue department goes ahead with its plan, Becker could see its annual property tax revenue drop by a million dollars. He says that means county and city taxes would have to go up. Property taxes in Becker would cost an extra $264 year for a $200,000 home. 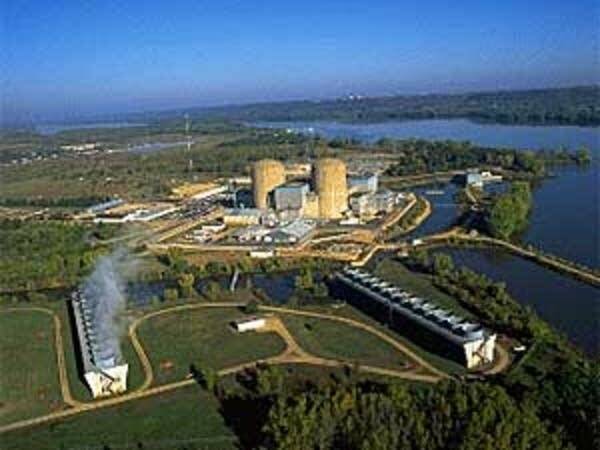 Monticello plant Courtesy of Nuclear Management Co.
"We're concerned that all of a sudden we're going to hit a 21 percent change in people's taxes and they're going to scream a little loudly, and not be happy with city government," Rudberg said. 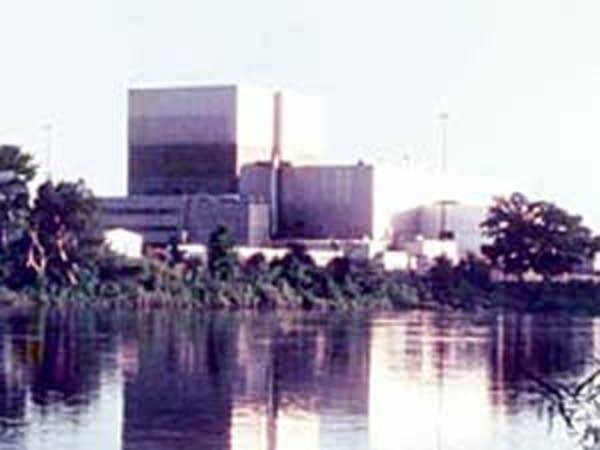 The tax changes would affect power plants across the state, including Xcel Energy's nuclear power plants at Monticello and Prairie Island. Gordon Folkman works in the state's revenue department and says it's been a long time since the state has taken a look at how power plants are valued for tax purposes. "The rules that govern these practices haven't been reviewed in many, many years. In fact it hasn't received a comprehensive review since the early 1970s," Folkman said. The revenue department and power companies both find problems with the current system. Xcel Energy's Darrin Lahr said while property and equipment at other businesses in the state is allowed to fully depreciate with age, that's something power companies can't do. "Typically as things get older the valuation becomes less. In our case, through these rules, we reach a certain point where we're not allowed to depreciate the property any further," Lahr said. Lahr feels the value of Xcel's property is often inflated on tax rolls. He said the end result is higher property taxes for the company, and higher costs to their customers. People might find it hard to sympathize with property owners in power plant towns. Even if they see an increase in taxes, they're still likely to pay less than the average homeowner. But Steve Nyhus, and attorney with the Coalition of Utility Cities says people living with a power plant in their backyard deserve a break on their taxes. The Coalition is a lobbying group for eight Minnesota communities with power plants. Nyhus claims a power plant isn't exactly a golden goose. "They're taking up land that could be used for other development. You have air pollution, noise pollution, coal train traffic, nuclear waste and security concerns. We see those property tax revenues as more than fair compensation to host communities for the cost of hosting these plants," Nyhus said. Nyhus feels it's up to the state to help power plant communities through any budget shortfalls if the tax change takes effect. There's legislation in both the Minnesota House and Senate that proposes delaying any rule changes so the state can determine if it should help those towns deal with loss of revenue. The Department of Revenue says any rule changes would take a few years to implement, and could include a phase-in period. Web site for the city of Becker, Minn.